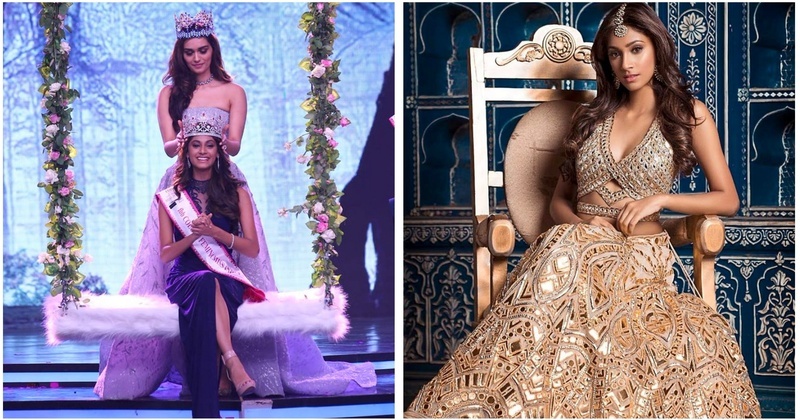 Who is Anukreethy Vas, the 19 year old who won Miss India 2018? I am sure you would’ve been eagerly waiting to find out who bagged the Miss India 2018 title after looking at all the ah-mazing contestants dressed in Abu Jani and Sandeep Khosla attires. Well it was Anukreethy Vas, a 19-year-old from Tamil Nadu, who was crowned the Femina Miss India 2018 last night in NSCI, Dome. And it was none other than Manushi Chhillar - Miss World 2017, who crowned her. The first runner up was Meenakshi Chaudhary from Haryana followed by Shreya Rao Kamavarapu from Andhra Pradesh who secured the second runner-up position. Miss United Continents 2017 Sana Dua, and Miss Intercontinental 2017 Priyanka Kumari, crowned their respective successors. Anukreethy will now represent India at Miss World 2018 while the two runners-up will represent the country at Miss Grand International 2018 and Miss United Continents 2018 respectively. 1. She’s a 19-year-old from Tamil Nadu and had to beat 30 other contestants to bag the Miss India World 2018 title. 2. She is pursuing BA in French from Loyola college and her interest lies in modeling and acting. 3. She is a student of Chennai's Loyola College, pursuing BA in French to become an interpreter. 4. Raised by a single mother, the just-crowned Miss India World 2018 wishes to become a supermodel as she loves facing the camera. 5. Anukreethy loves to sing and dance, and is also a state level athlete. Her interests also include riding bikes. 6. The young starlet has always believed, "The best preparation for tomorrow is doing your best today. So be the best version of yourself everyday." 7. In the pageant, she also grabbed the titles - Miss India Tamil Nadu 2018, Miss India Beautiful Smile 2018 and Miss India Miss Fashion Icon (South) 2018. A Star studded night right?